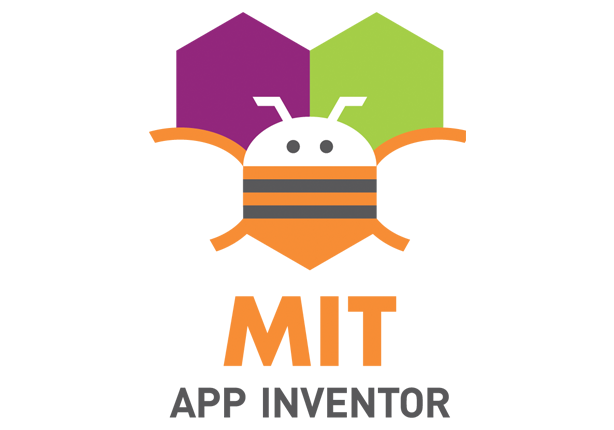 Product: MIT App Inventor is a free cloud-based tool that kids can use to create software applications for Android. 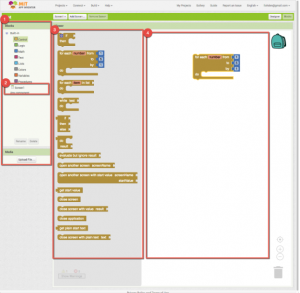 App Inventor uses a block-based programming interface very similar to Scratch, which makes the transition from creating games and animations in Scratch to apps in App Inventor smooth and easy. Glows: This tool has a powerful, clean interface, and there’s a lot of documentation to help kids when they’re getting started. Simplified coding allows users to create completely functioning Android apps quickly, while learning the fundamentals of code and app development. Grows: App Inventor can be a pretty advanced program to work with, so younger users will need a lot of guidance and support. App Inventor’s user community is not as accessible as the communities of some other tools others and the creations of other users aren’t readily available on their site. Bottom Line: AppInventor isn’t ideal for beginners coders, but it’s a fun, flexible ‘level-up’ platform for kids who have been using other entry-level programming languages for a while, and are looking to explore more advanced tools. Using App Inventor, kids can create software applications using simplified computer programming. iOS support is coming soon, so kids will also be able to create apps for iOS devices. It’s a great (and completely free) tool for app designers, game designers, students, or anyone who is interested in app development. When you create apps in App Inventor, they can be saved and installed right away on your device, so you can test instantly using a QR code you can scan with your phone. App Inventor was originally created by Google, and is now maintained by MIT (Massachusetts Institute of Technology). The platform is open-source and has an active community that contributes to its improvement and adds new, free features to improve it. Normally, getting started on creating an Android app requires a lot of complex tasks, but App Inventor gives you a shortcut through those steps and allows users to immediately get to the core of application design. You’ll get a toolset of basic components to use in your app, and an easy way to create new ones. Users can create incredible creations with App Inventor, because the tool gives programmers a lot of freedom when they’re creating apps. You can create virtually any form of Android app quickly and easily through this application without needing an advanced understanding of programming, which makes it an excellent application to begin an exploration into the world of app development. 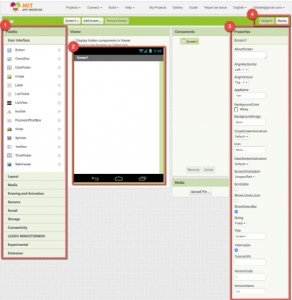 To get started with App Inventor, you simply need to visit the website and log in using a Google account. You can get detailed directions for getting started on this page. The tool is completely free, and users have full access to all features, right from the start. Once you’ve got access to App Inventor, there are two main programming modes: Designer and Blocks. In Designer mode, you can construct your app using the building blocks provided for you. These building blocks represent basic buttons and functions and can be dragged-and-dropped to create your interface and app structure. In Blocks mode, you give the objects you added in Design Mode their functional logic using drag-and-drop block-based programming. By switching between these two modes, you can quickly construct a functioning app. When you’re working in App Inventor, your projects are automatically saved to your account, and you can log out and return to them at any time. You can also test your apps by moving your projects over to your phone using a QR code. The process of programming (and using tools like App Inventor) is motivating for kids because they can use app development tools to create apps that solve real-world problems. All over the world, young people are using App Inventor to address issues like drunk driving, school bullying, getting access to safe drinking water, and memory loss in older adults. You can find out more about the types of problems young people are solving with their app development efforts on App Inventor’s About page. Kids who have never coded or had exposure to program development and app development may require some guidance so they can get comfortable using App Inventor. The application isn’t as friendly to younger users or brand new coders as other tools. You don’t get access to guided tutorials or a strong help-focused community, like you do with Scratch or Tynker. App Inventor, however, is a great ‘level-up’ for kids who have used other block-based programming tools for some time and are looking to explore more advanced coding. There are also some great options available on the website that provide structured learning using App Inventor that parents could use to get started with their kids. Kids who have had some experience in coding and project design will enjoy the freedom App Inventor provides to create any kind of app they want. http://appinventor.mit.edu/explore/about-us.html – Some great anecdotes about creations developed in App Inventor and the stories of their creators. Research for this review is courtesy of our very own Connected Camps counselor – Lukas Lohden.